The paper says these agreements… happen under a veil of secrecy, often without the knowledge of faculty members, and that BB&T’s foundation is set on correcting what it sees as an overly liberal curriculum. Well that’s… fun. So they could get grants, yes, quite generous ones, but they just had to teach Ayn Rand in college. It’s appropriate for colleges to teach the moral foundations of capitalism. That might be a rather important thing to know about as a educated person and one participating in a market economy. And the idea of colleges being overly liberal is debatable, but it’s not insane. But is Ayn Rand really the best way to address this? Her novels are, as one critic put it, “breathtakingly bad” and full of wooden drama and weird, one-dimensional characters. According to the article, “the grant has riled faculty members who say that BB&T and Koch Industries are buying their way into the curriculum.” Well obviously BB&T and Koch Industries are buying something. That’s what big money is for. I’m concerned they’re just trying to promote such crappy books. That’s like using the novels of Left Behind creator Tim LaHaye to teach about the moral foundations of Christianity or using Stephanie Meyer to explain romantic love (or even vampires). It’s just not intellectually rigorous enough for academic study. There are plenty of other, much better, books to us to teach students about capitalism. Like those written by Adam Smith or Friedrich Hayek. 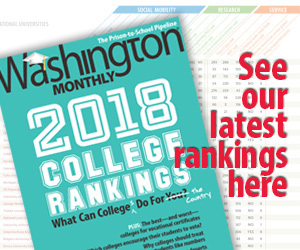 By scouring local news stories and university press releases, along with other means, [the researcher] determined that at least 63 colleges and universities received Moral Foundations grants, averaging about $1 million each. 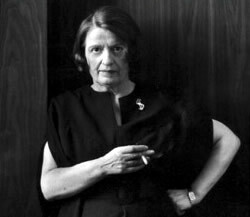 The grants typically stipulate that the institution will offer a course featuring Ayn Rand’s Atlas Shrugged — a famously pro-free market novel — and provide even unenrolled students in the relevant department a free copy of the book; in some cases, Atlas Shrugged is the only book on the course syllabus. Now there’s nothing inherently wrong with this, of course. Professors can teach anything they’d like in their courses. While I’m not entirely sure Atlas Shrugged is really appropriate for an undergraduate curriculum (most of us were over her after The Fountainhead and by the end of 10th grade), who am I to judge? But if Rand wouldn’t exist on a curriculum naturally, why should we be throwing money at schools to force them to teach her? What’s next? What if Donald Trump decides to get into the (legitimate) college business. Is it really appropriate to force professors to assign The Art of the Deal? Also, in what class are professors teaching this stuff? Rand is not really good enough literature for an English course. It’s certainly not economics. It’s barely even philosophy. Maybe they can teach it in political science to explain how fringe ideas take over national politics.